If this is your first time on EnkiVeryWell, there are several things you should know about us, because we are quite unique! Or if you are thinking about joining us and becoming a member of our community, then here are some things that will help you be confident in your decision to join us. Here are the 8 things that we are really good at! 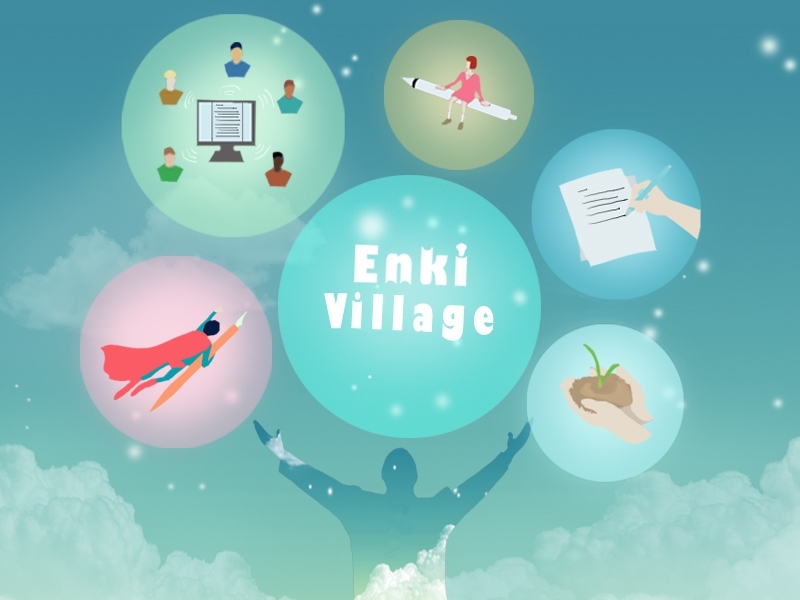 You can find everything on EnkiVeryWell: enjoy abundant entertainment information, learn creative life tricks, make tasty food and drinks, and more! With your great minds, we will add more and more topics and ideas, all of which will be beneficial to millions of people around the world. Just feel free to present anything you want to know. We have a well-trained team to do thorough research for you, in addition to writers with professional backgrounds to answer questions for you. This is a community where you can always find more answers than questions, more solutions than problems! Have you ever thought that you could help others just by writing an article? It doesn't matter who you are, where you are from and how old you are. If you have any type of knowledge, experience or idea about life, study, work, fashion, art or anything else worth sharing, just write it on EnkiVeryWell! Your knowledge and suggestions may help someone who meets similar troubles or difficulties. What are you waiting for? Join us and be a helper for the rest of the world! Will your article be seen all over the world? Definitely! As EnkiVeryWell is a global website, anyone around the world has free access to the knowledge shared on EnkiVeryWell. What's more, we will promote your articles to attract more readers. Don’t want to waste your time on formatting? No problem, we'll do it for you! We have excellent illustrators who can provide proper pictures for you, creating an excellent platform to present your work. Simply present your ideas, then we'll do the rest. At EnkiVeryWell, all kinds of articles are welcomed. As a knowledge sharing platform, we sincerely hope you, the user, can share your ideas and thoughts with us. Whether it is just a single sentence that you think will enlighten and encourage people to move on, a funny story that you believe will make people laugh out loud, or some useful life tips about where to go for the weekend, anything that you want to share is welcomed! Perhaps you've read some comments on articles, some of which are so funny that you can't help but wonder who wrote them. Guess what, this is part of our mission – to build an easy and effective connection among all the members of our community. We believe EnkiVeryWell is more than a place to get questions answered and problems fixed; it is also a great place to meet new people, communicate and exchange ideas with each other. After all, this is how we benefit the most from the era of the internet – to become closer and understand one another better, isn't it? By sharing your ideas on EnkiVeryWell, you get the chance to help millions of people around the world who might have the same problems as you did. As EnkiVeryWell has millions of traffic monthly, your brilliant works will be shown numerously. Thus it is quite easy for you to become a well-known writer with fame. EnkiVeryWell is new, creative and is changing with each passing day. It is promising and full of hope; but it also needs your guidance and help. Your concerns and suggestions will make a big difference. Let's work together to make our EnkiVeryWell one of the best knowledge sharing platforms. We are open to all advice and suggestions. If you have anything to say or share, please don't hesitate and contact us at [email protected]. Now that you know all the things you can achieve on EnkiVeryWell, there's no doubt that this is the right place for you. You can be happier with who you are and what can you do by sharing your knowledge with others. Others can be enlightened by your words and people in need will gain from your goodwill. Step by step, you're helping make this world a better place by sharing your thoughts and ideas while contributing to charity at the same time! Share information and expertise, click on the publish button and -- voila! The world is a better place because of you! Server responsed at: 04/23/2019 6:31 a.m.